How can I get this parameter into a tag? 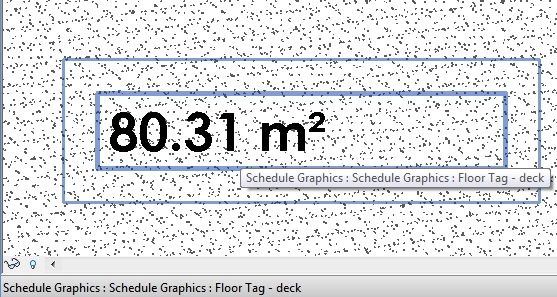 Ever wanted to get a Tag to pick up the hardcoded Elevation value given to a nested Family? Then check out this great little thread and cool answer by Julien! You need to set a SP in the nested family. Make the plate geometry attached to ref planes that are not the 2 from the template. Assign a SP to the distance between the RP at center of geometry and the RP that defines origin. SP will be by instance. Beware of directions for correct behavior when loaded in the host. 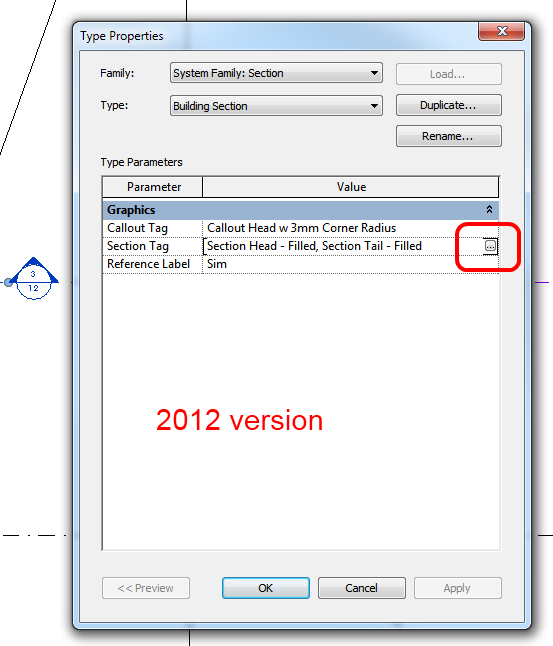 In the host family, add the same SP, select the plate, and in properties palette, look for the tiny button on the left. Click and choose the SP you’ve added. The insert point of the plate must be set to the ref level of the host. Now you have the elevation of the plate driven by a SP in the host. Create a tag for this SP. You’re done. Some of you probably already realise that Case Apps have released a suite of Subscription tools (in other words, these are not free). Foundations, Floors, Ceilings, Roofs, Furniture, Furniture Systems, Casework, Generic Models, Structural Columns, Detail Components, Massing, Mass Floors, Curtain Panels, and Specialty Equipment. Architectural Columns, Shaft Openings remain immune to tagging at all. 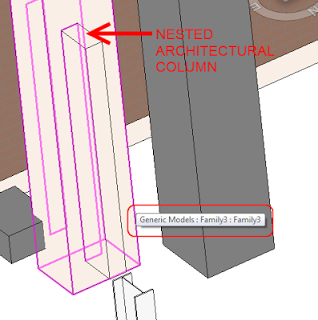 Nest a shared Architectural Column into a Generic Model family and constrain to suit. Link some parameters through if you want. Now you can tag the Generic Model, while the Architectural Column will still Schedule and it will even automatically join with adjacent / touching walls. You will obviously lose some abilities native to Architectural Columns, like Attach / Detach. You can safely delete the path from views where you don’t want to see it. It seems that these are automatically created in certain Plan views – I’m unsure what the ‘rule’ governing the automatic creation of Stair Paths is, yet. None of the created elements are visible in Floor Plan: UPPER FLOOR PLAN – Option 2 View. You may want to check the active view, its Parameters, and Visibility settings, as well as any Plan Regions and their settings. If I move the link in the secondary option AWAY (geographically) from the link in the primary option, the Room Tags work fine. Place the two link files in different Option SETS. 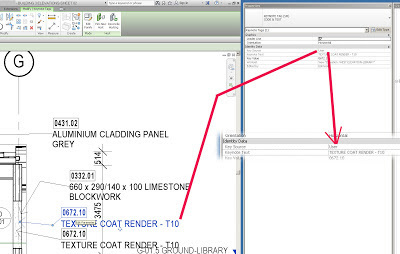 In this way, both the Revit links can be a ‘primary option’. Make a ‘blank’ option in each of the Option Sets. 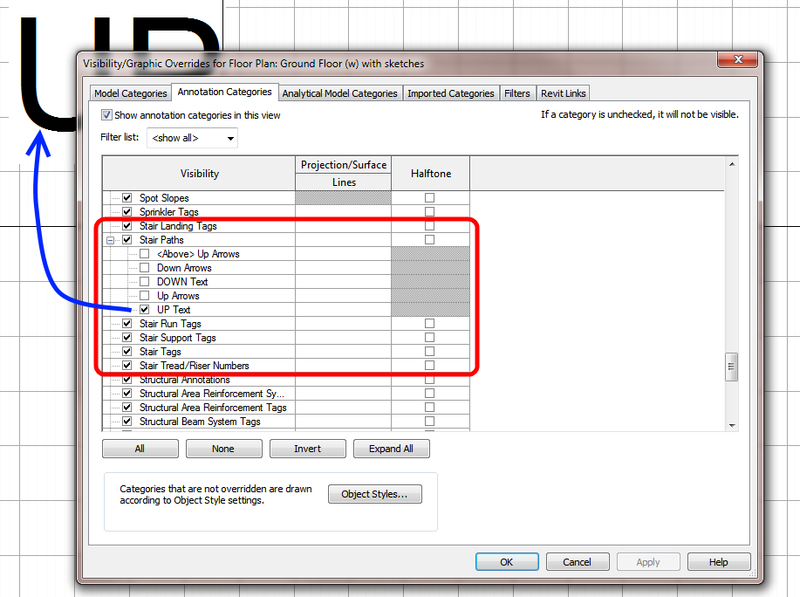 In a plan view, set the Visibility / Graphics such that the link you want to see is selected, and in the other Option Set ‘blank’ is selected. 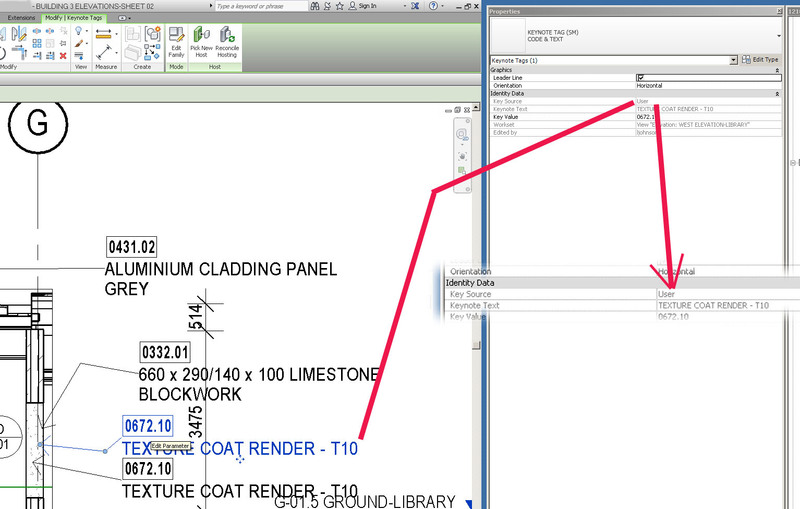 You should now be able to tag these Room elements through to both of the links in the different Option Sets. In a plan view, move the link you want to tag ‘away’ from the other link a known amount. 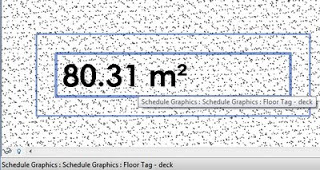 As you may have realised, you cannot add the Area parameter to a Floor Tag annotation. Make a Floor Schedule with Area and Comments fields added. Filter By – Comments = the Comments of the Floor you want to tag (this needs to be a unique entry). Turn off Headers, Grids etc in the Schedule Appearance. Hide the Comments field in the Schedule. Drag and drop this Schedule a.k.a. Tag onto a Sheet, on top of the Floor in question. OK, I understand that this is not the most manageable or elegant solution, but it may be useful in certain situations. This is a subtle change that you may have missed. 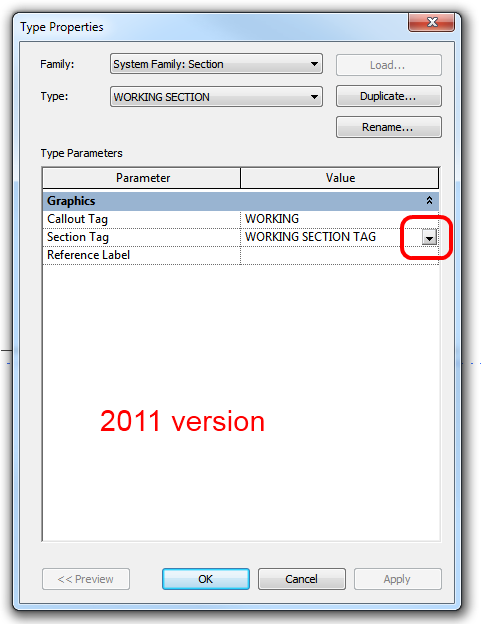 In Revit 2011, we had to access the ‘Section Tag’ properties through the Manage tab on the Ribbon (which was a bit annoying). This definitely allows for an improved workflow. 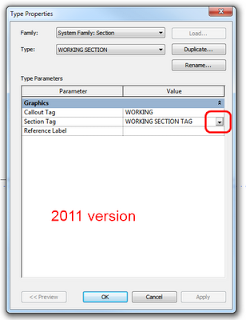 It is a faster and more intuitive way to change the properties of Section Tags. Generic Label.rfa Now, place an instance of the annotation family. You can drag the type directly from the Project Browser and drop it into the Ref Level view.You should link the parameter in this annotation family to a parameter from the Plumbing host family (you should know how to do this by now!) When you load this Plumbing component into the project, it now comes with an ‘automatic tag’, of sorts. However, there are some things to keep in mind – the main one being that this annotation will show in any view where the host family is included in the view range – it will not be masked by geometry.So, use this method with care. 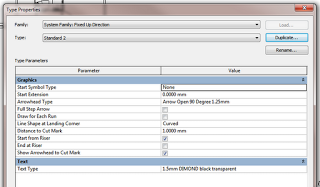 I have found it useful for things like a Hot Water System family, where you always want to show ‘HW’ in plan views. And I have handled the visibility issue with some trickly view filters. Note Blocks – What are they?? Create a basic Generic Annotation family. Add Labels for Family Parameters to into the Generic Annotation family (for example, Note Number and Note Description). Load the family into the project. Create a Schedule – Note Block, and choose the family you just loaded. 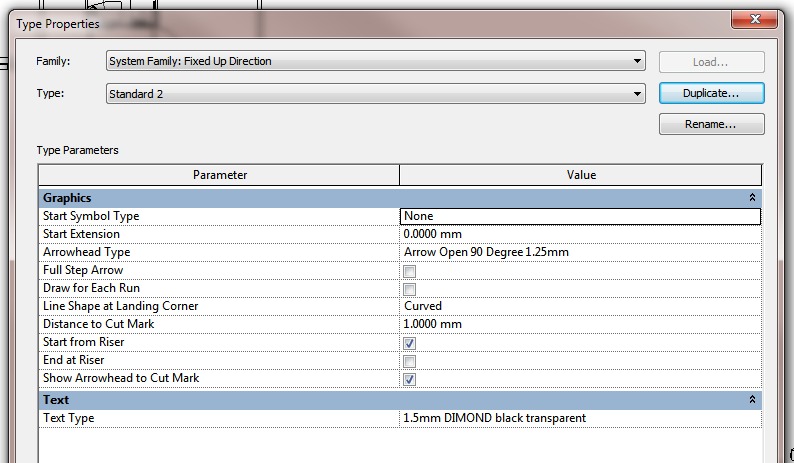 Add the parameters to the Schedule that you added in step 2. Go to a view and place a ‘Symbol’ – use the Generic Annotation family you just added. Make sure to choose at least 1 leader for the note. Type value/values into the Generic Annotation family. Have a look at your ‘Note Block’ and you will see the values starting to fill. 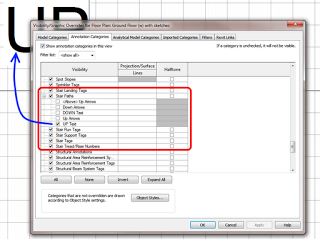 If you change the schedule, it will change the notes (this is Revit, remember). 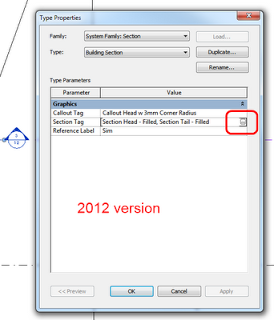 The Revit documentation shows this in use. You can label things with ‘numbers’ and then use the Note Block to refer these numbers to the appropriate text or note.This Note Block can then be placed on a sheet, just like any schedule.It is an interesting little tool, and it may be just what you need to solve that little problem that has been annoying you!